Start the new year with a resolution in your head and a passport in your pocket; 2019 will be a better year, so why not kick-start it with a January holiday? 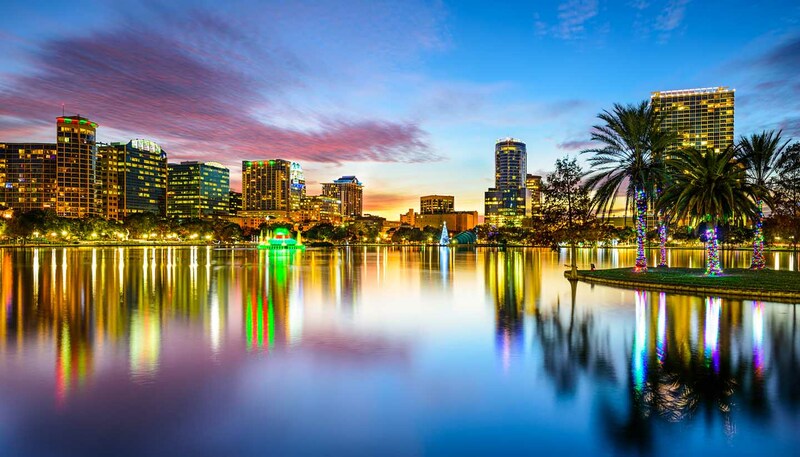 The registered trademark of Orlando is ‘Theme Park Capital of the World’ – a name that it truly deserves. Walt Disney World Resort and Universal Orlando are the biggest draws, offering wholesome entertainment, white-knuckle rides and mind-blowing fantasies. 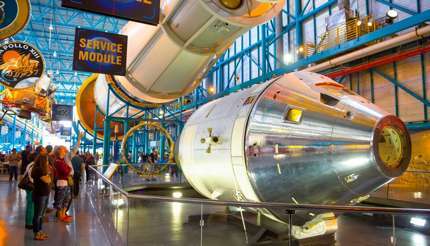 Beyond theme parks, visit Kennedy Space Center at Cape Canaveral, about 50 minutes’ drive away from downtown Orlando. On our Things to do in Orlando guide, you can also find a list of quirky activities you and your family can do while in Orlando to complete your dream holiday here. Search for your flights on Skyscanner where you can look through multiple flight options at the same time and are guaranteed to find the best and cheapest. London to Orlando from £275 with Virgin Atlantic. This direct flight takes 9 hours 35 minutes. New York to Orlando from US$103 with Spirit. This direct flight takes 3 hours. Singapore to Orlando from S$1,563 with British Airways. This flight has one stopover in London and takes 30 hours. Before you go, check if you need a visa to the USA. 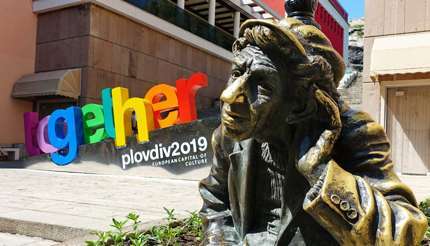 Plovdiv, the second-largest city in Bulgaria, is one of the two cities being honoured as 2019 European Capital of Culture (the other one is Matera in Italy). While Matera is very quiet about its plans, Plovdiv has been busy preparing a series of fantastic events throughout 2019 to welcome visitors to its lovely ancient city, starting with an opening ceremony from Jan 11 to 13. Top attractions in Plovdiv include the Ancient Theatre, Roman Stadium, Archaeological Complex of Nebet Tepe, Small Basilica, The Tsar Simeon’s Garden and Singing Fountains, and Kapana. Take a direct bus from Central Bus Station in Sofia to Plovdiv – multiple bus companies provide this service and the cost is around 14 Bulgarian lev each way and the journey takes about two hours with the last stop at Bus Station South (Yug) in Plovdiv. For more information, see centralnaavtogara.bg. Take the Sofia-Svilengrad and Sofia-Burgas lines from Central Railway Station Sofia. The journey takes about 2 hours 30 minutes. For more information, see this page. You can also take a direct flight from London to Plovdiv with Ryanair. 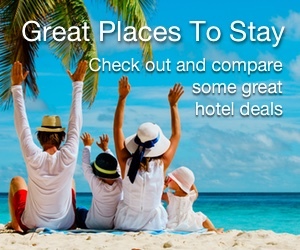 Search for your flights on this Skyscanner page. Thomas Cook also runs chartered flights from various destinations across the UK to Plovdiv. 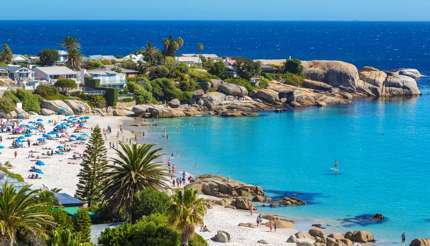 With the water crisis in Cape Town under control, visitors once again flock to this amazing city and its endless sandy beaches. January is the height of summer in Cape Town and with sea temperatures averaging 20C (68F), you can take as many dips as you like. Alternatively, you can choose to kick-back on soft white sand on Clifton Beach or Camps Bay, go surfing at Muizenberg, or simply chill with the penguins at Boulders Beach. Beyond beaches, you will find urban nightlife and fascinating museums in the city centre; and a short drive away, a wine region to rival those of France. Airlines that fly to Cape Town include British Airways, Emirates, Ethiopian Airlines, KLM, Lufthansa, Qatar Airways, Singapore Airlines and South African Airways, among others. From the UK, British Airways offers direct flights to Cape Town. No direct flights from the USA to Cape Town, but you can connect via Johannesburg with South African Airways or via Dubai with Emirates. Search for your flights on Skyscanner where you can look through multiple flight options at the same time and are guaranteed to find the best and cheapest. 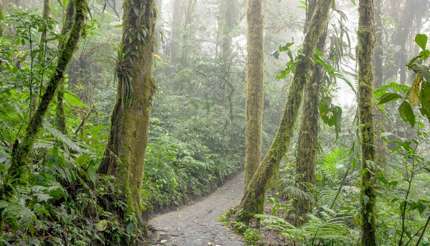 Located in north-western Costa Rica, the Monteverde Cloud Forest Reserve is so high in altitude that the warm coastal air condenses into misty fog clinging to the upper canopy of the rainforest. Treetop climbing, where you climb inside the hollow trunk of a fig tree, is a unique activity you can do here. Alternatively, take part in a thrilling bungee jump. Said to be the highest bungee jump in Central America, you leap from a tram suspended by cables between two mountains and drop 143m (469ft) below. If adrenaline-fuelled activities aren’t for you, take a subtle orchid tour or canopy walk to discover the incredible diversity of wildlife including the rare Quetzal birds, regarded as gods by the Aztecs because of their vivid plumage. Monteverde Cloud Forest is about 150km (93 miles) from San José, the capital of Costa Rica. The journey takes about 3 hours by car. Interbus, a leading shuttle company in Costa Rica, takes you from San José to Monteverde for about US$50 each way. You can find out more from their website. You can also take public transport from San José to Monteverde.